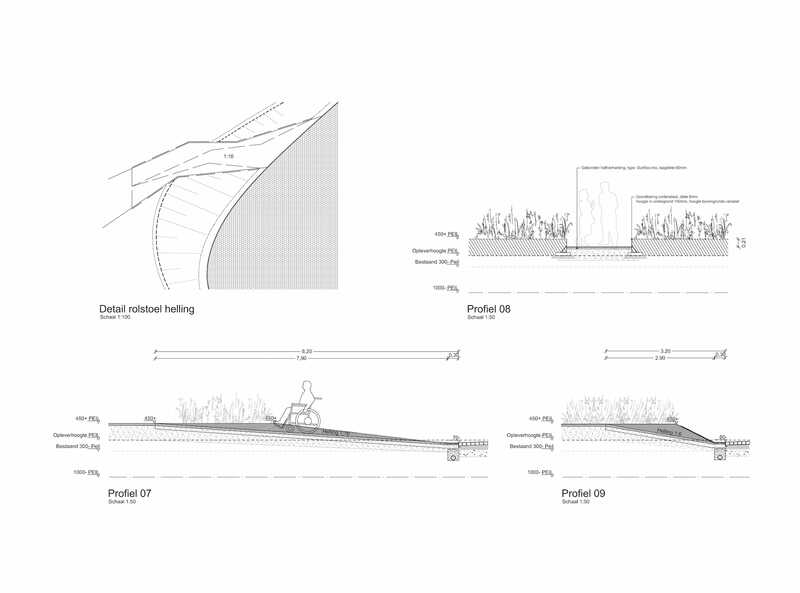 Thanks DELVA Landscape Architects for authorizing the publication of the project on mooool. 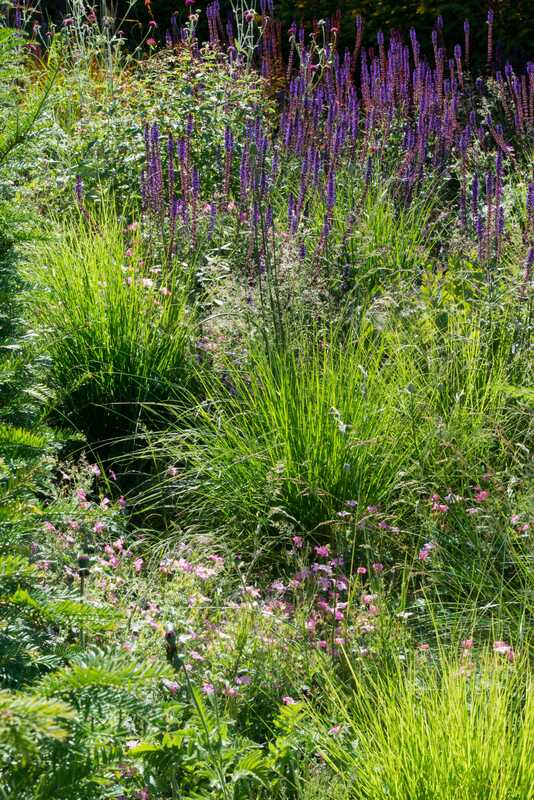 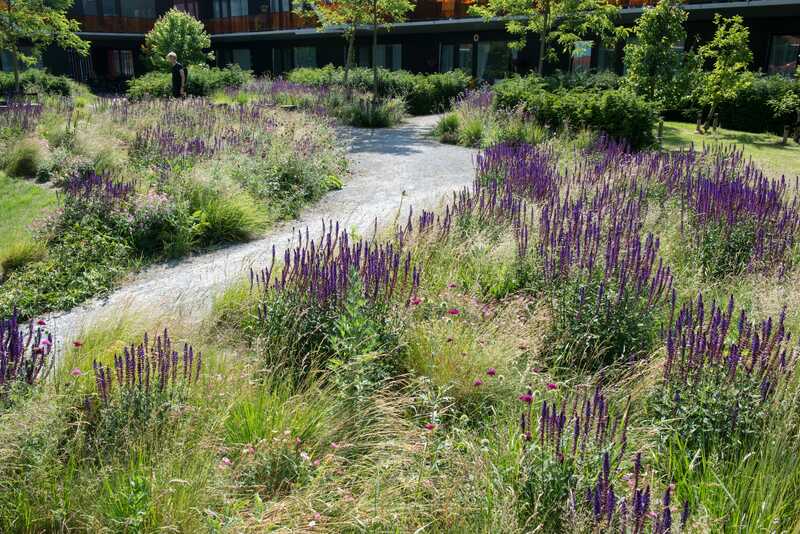 Text description provided by DELVA Landscape Architects. 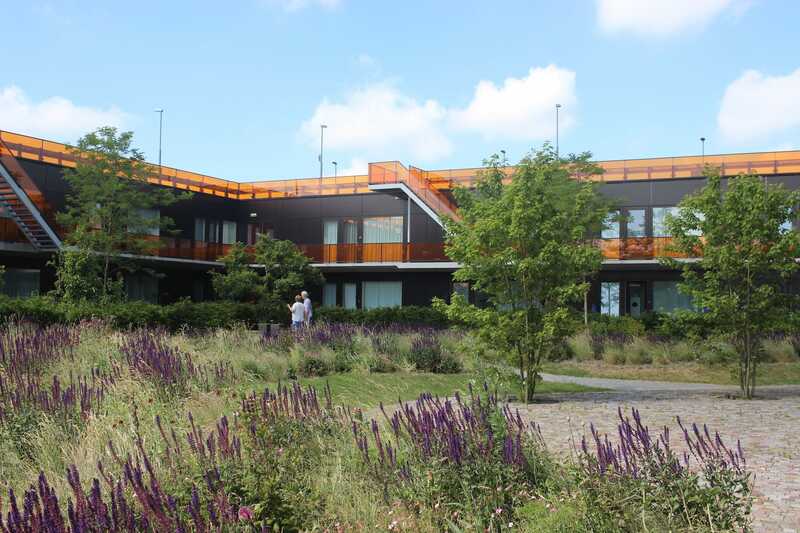 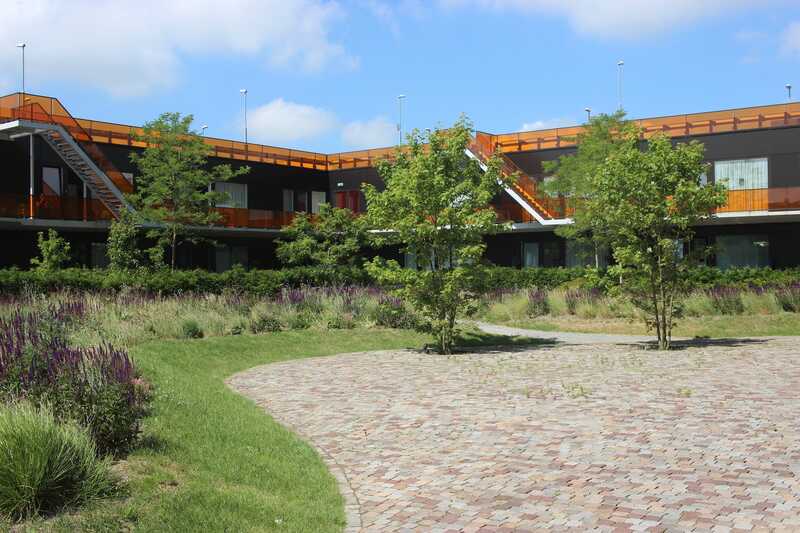 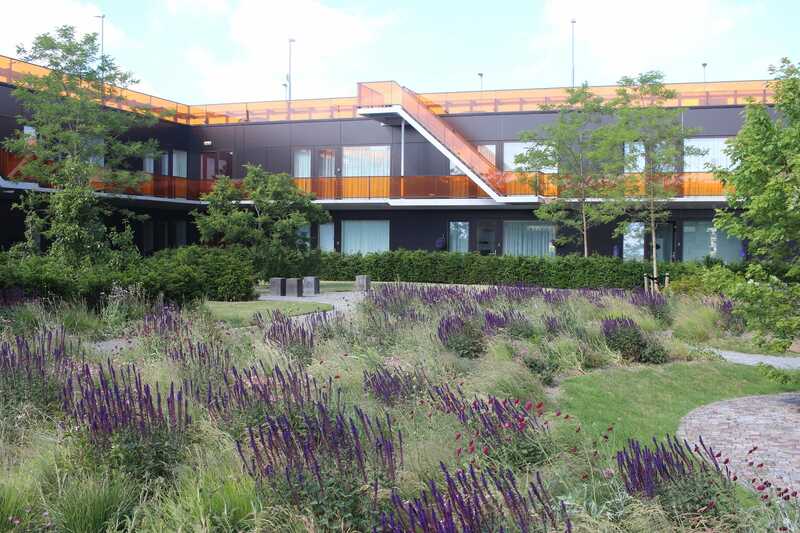 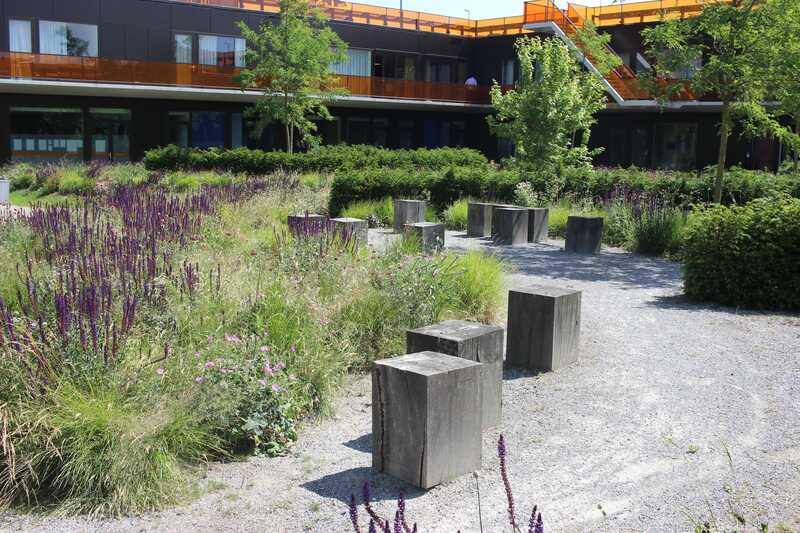 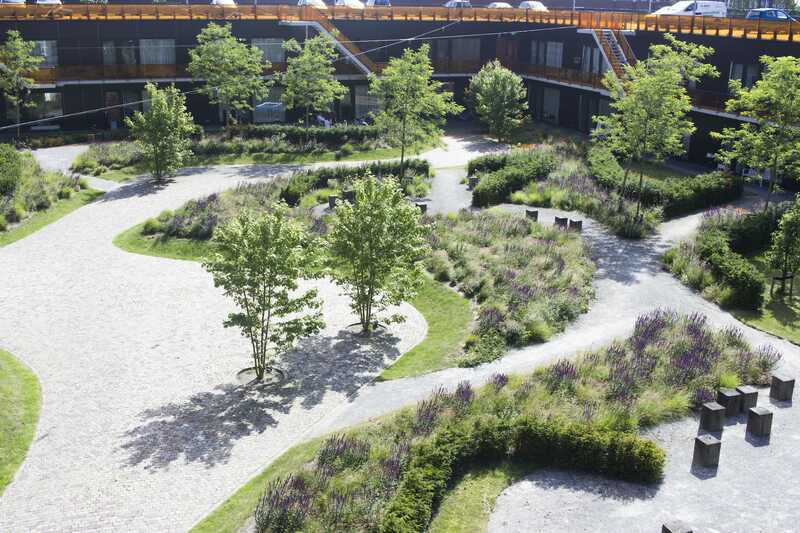 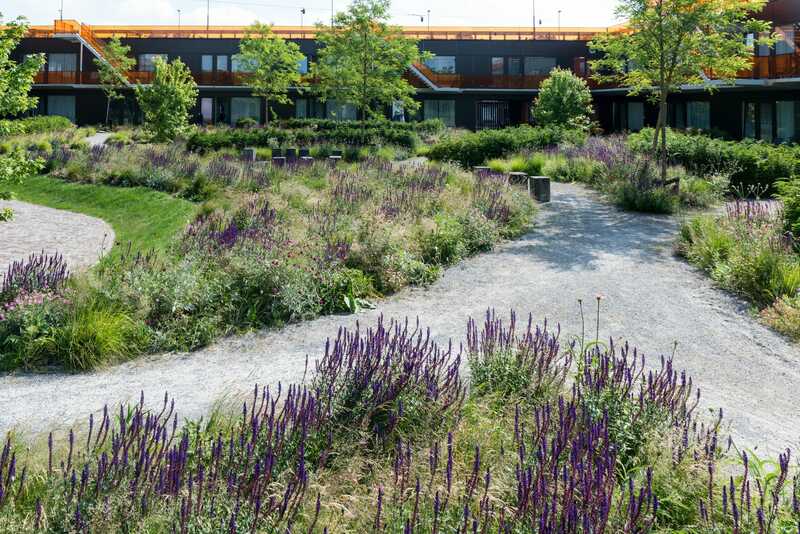 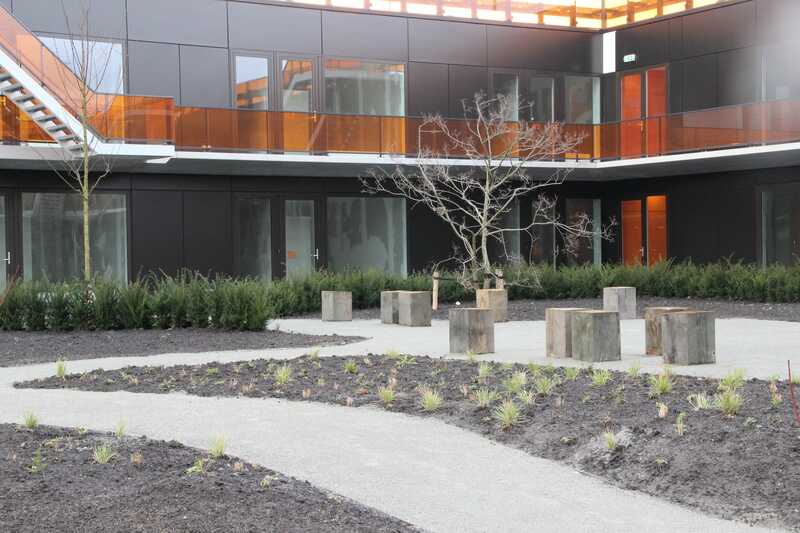 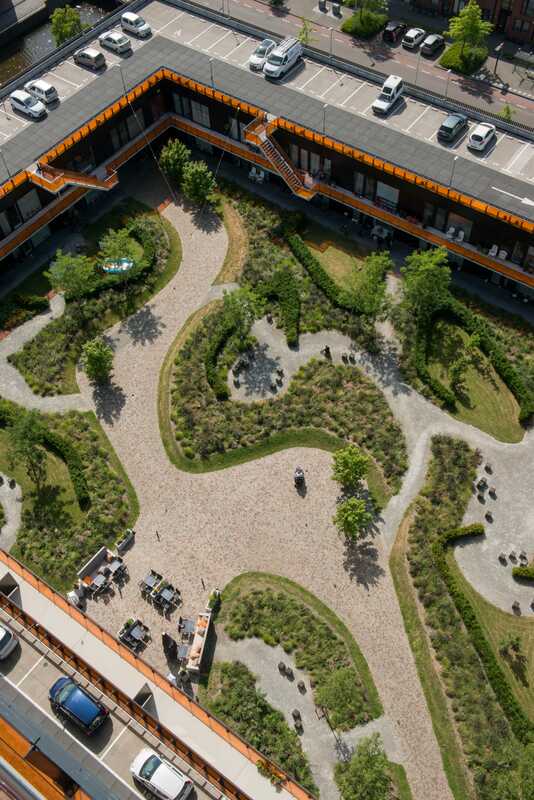 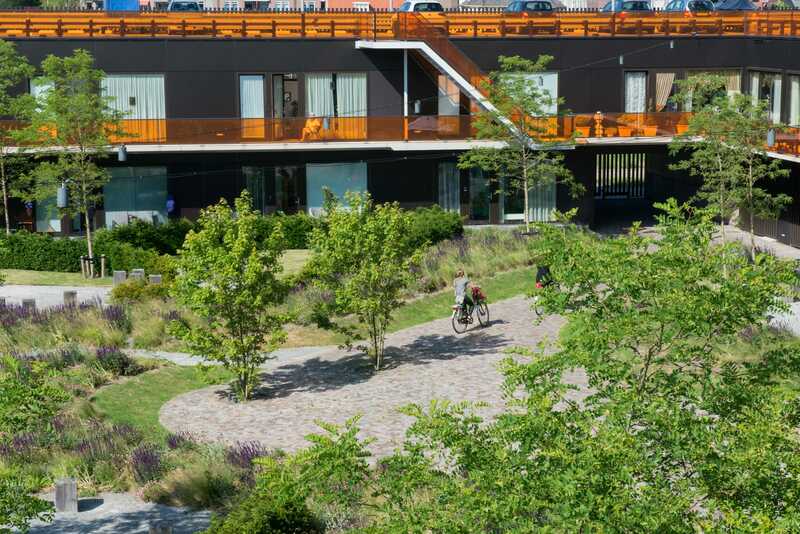 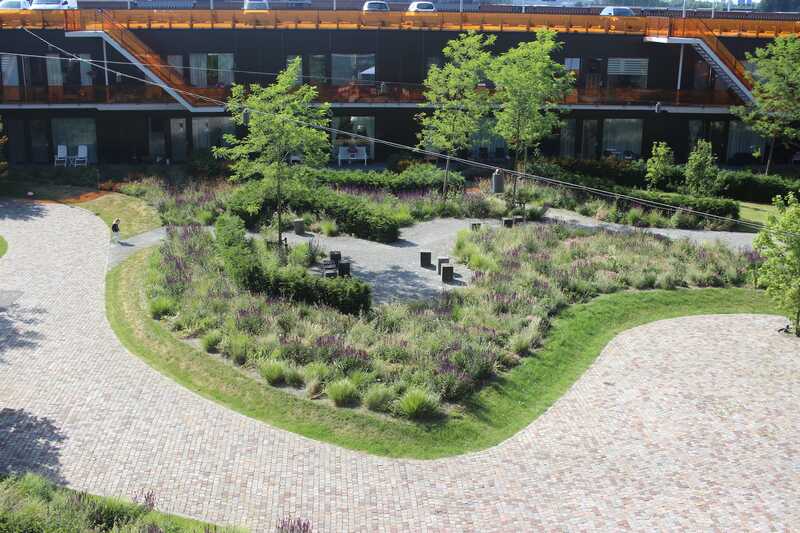 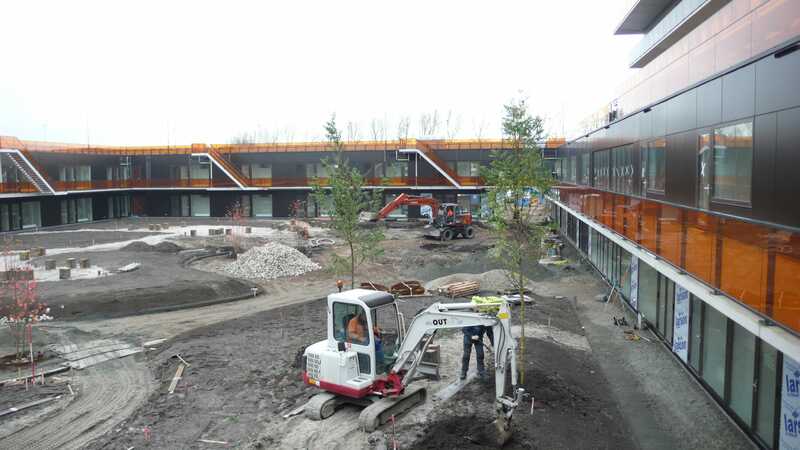 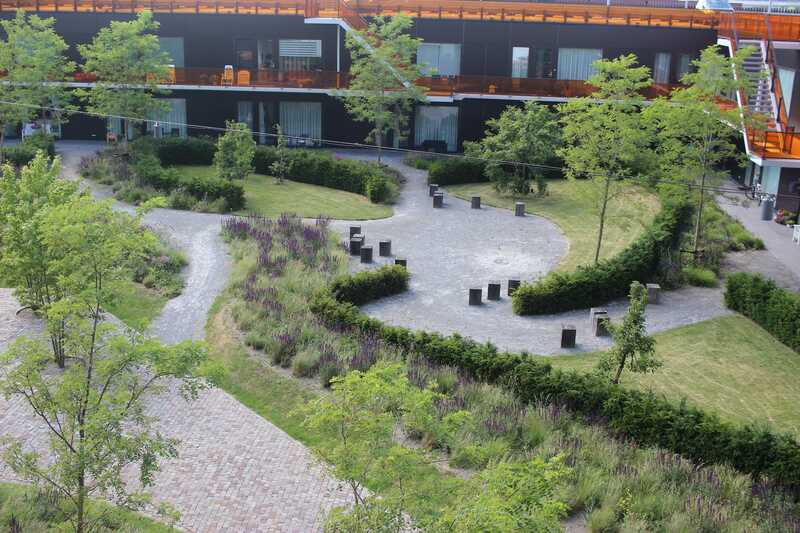 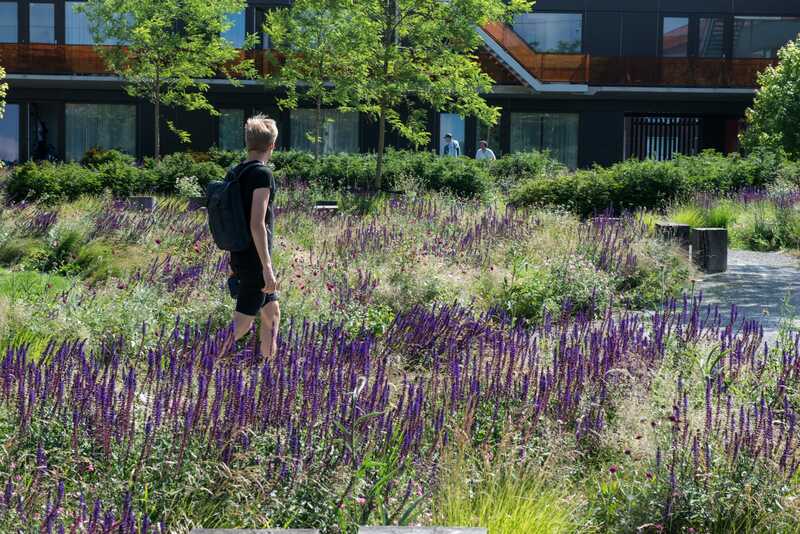 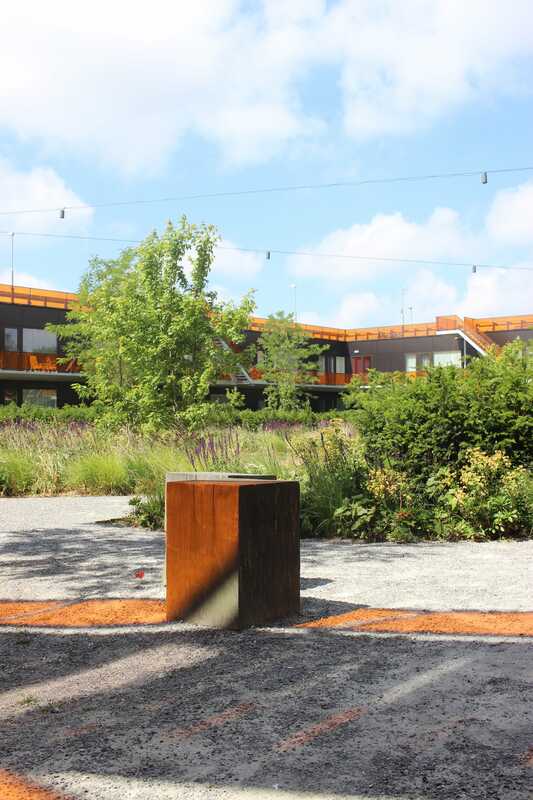 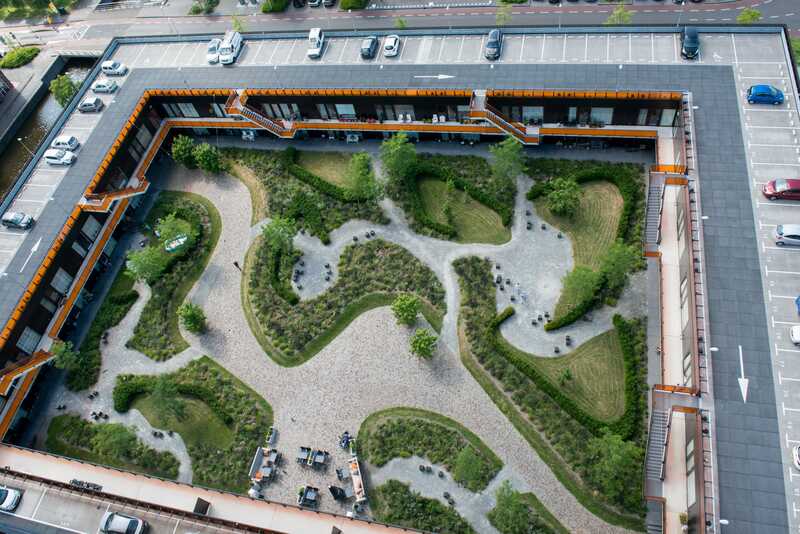 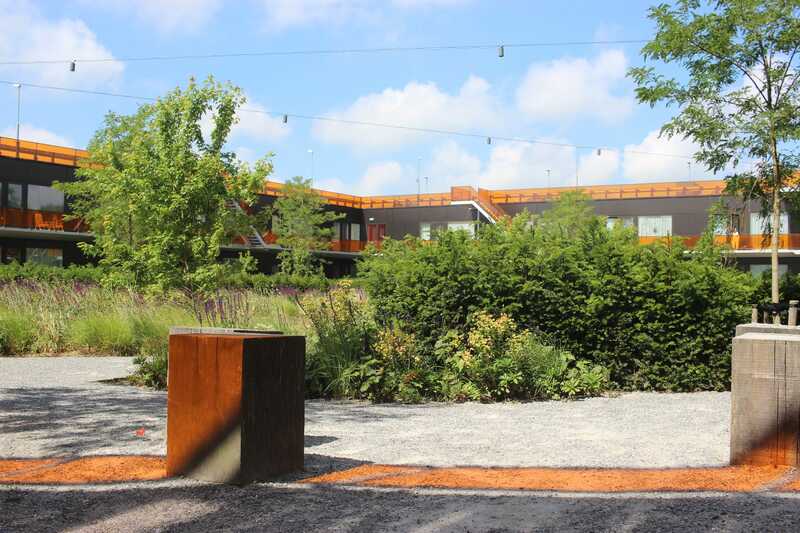 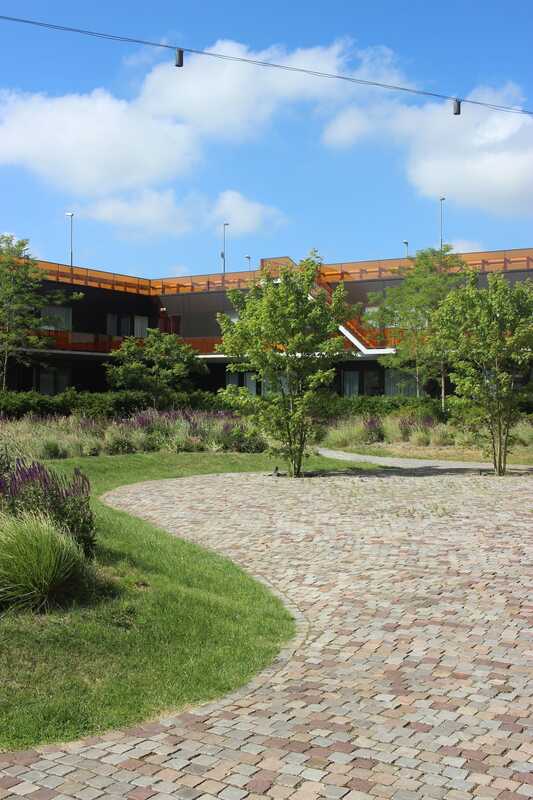 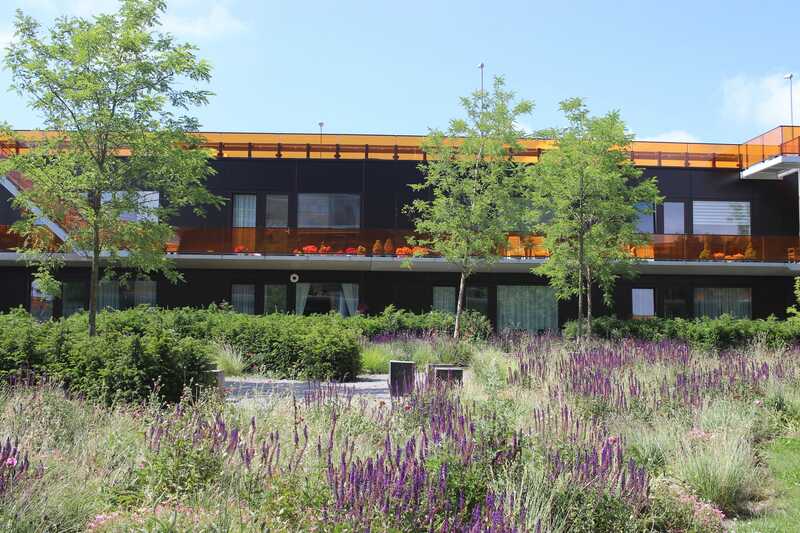 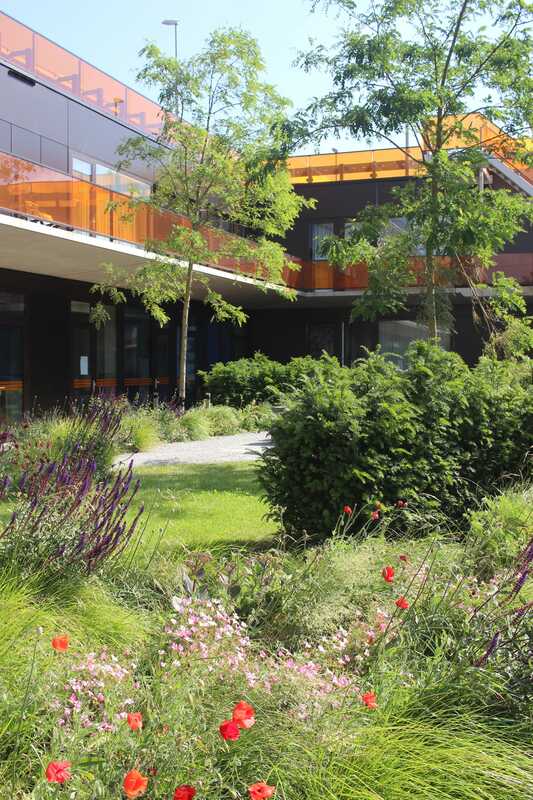 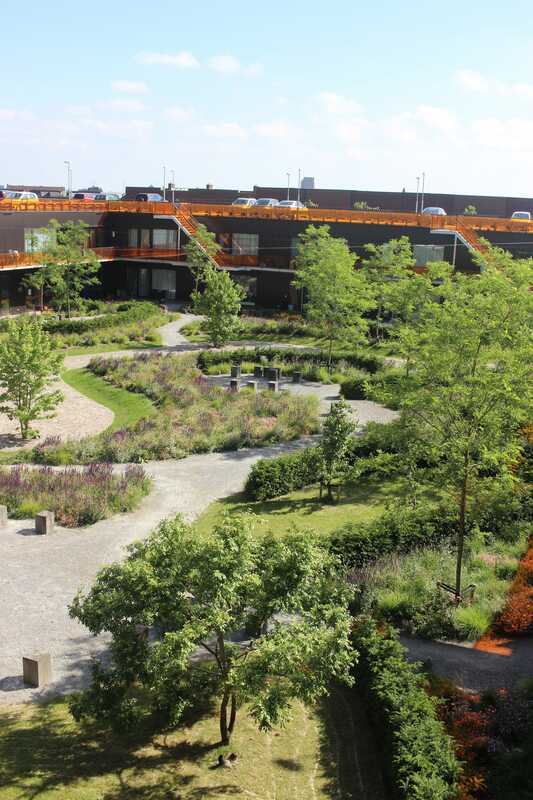 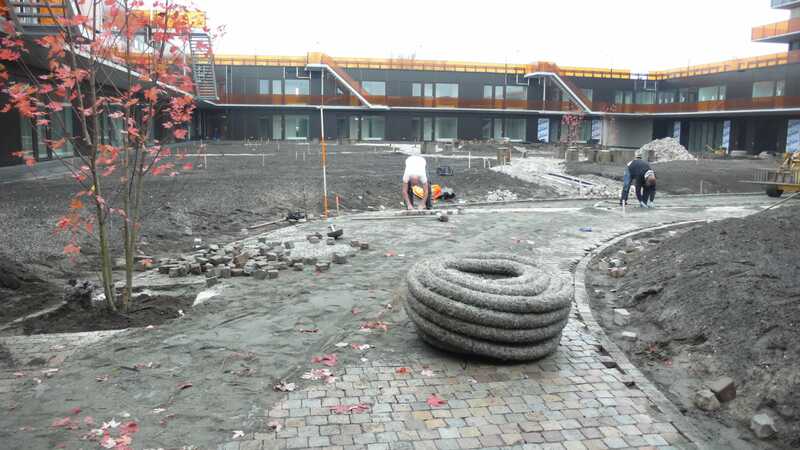 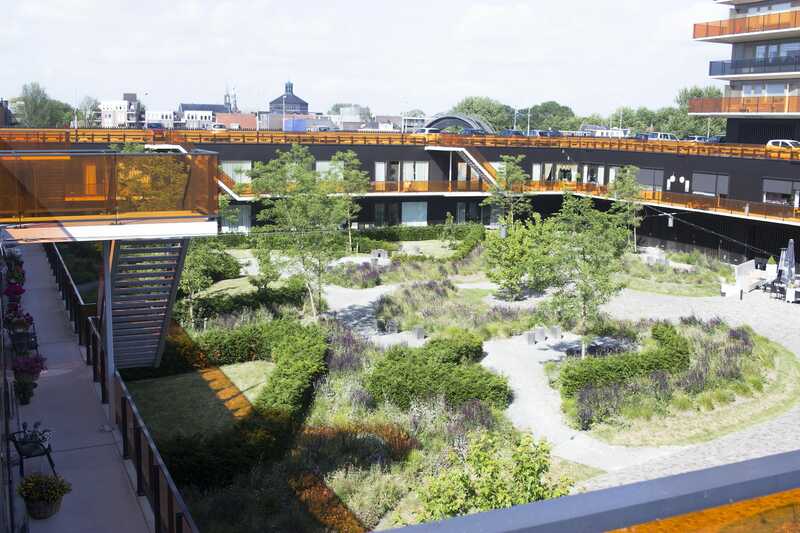 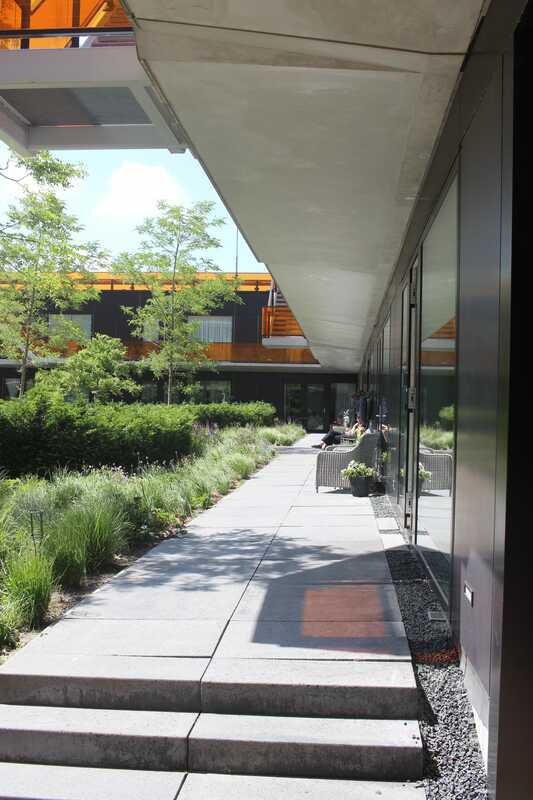 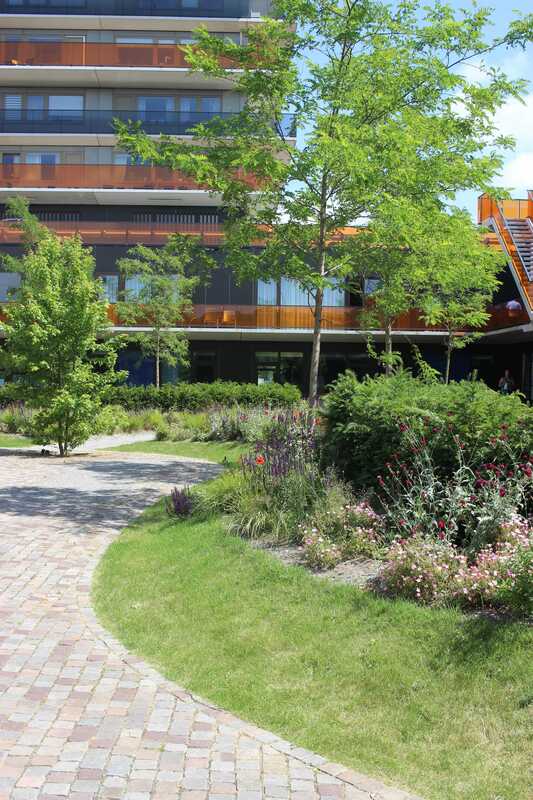 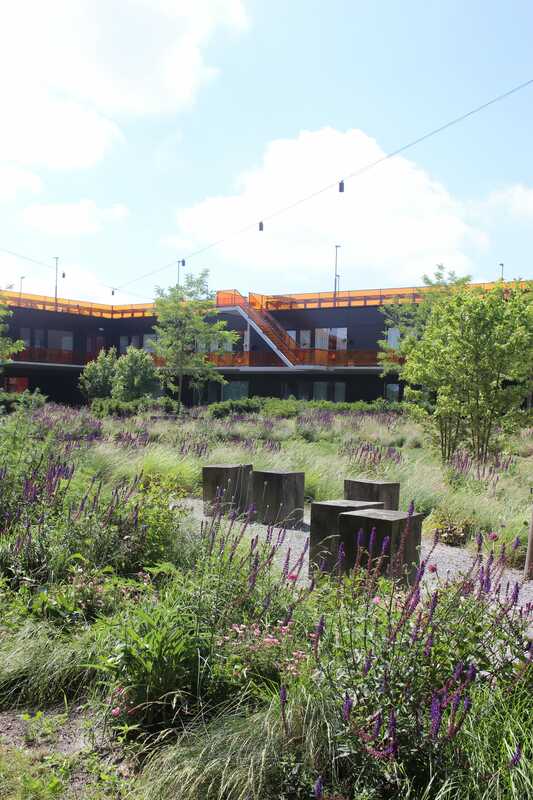 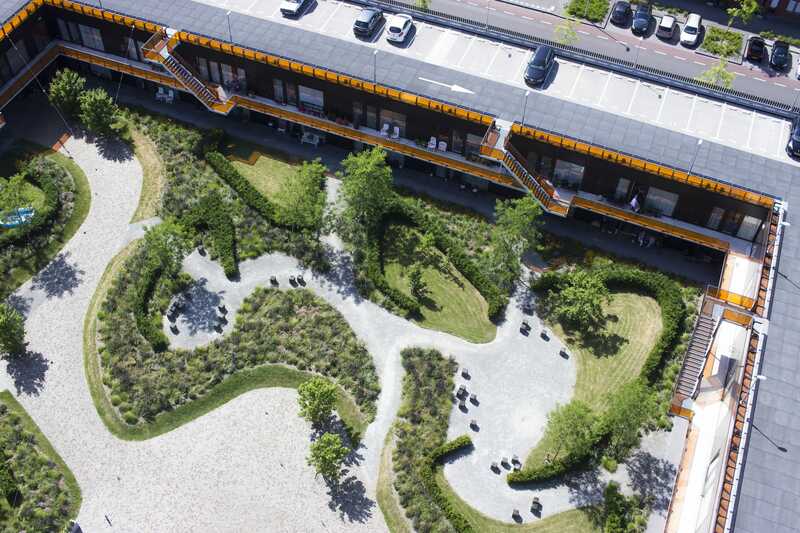 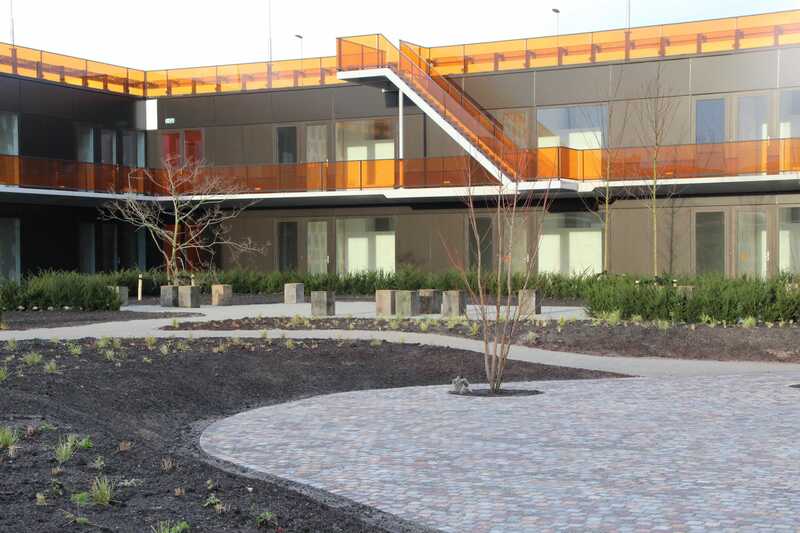 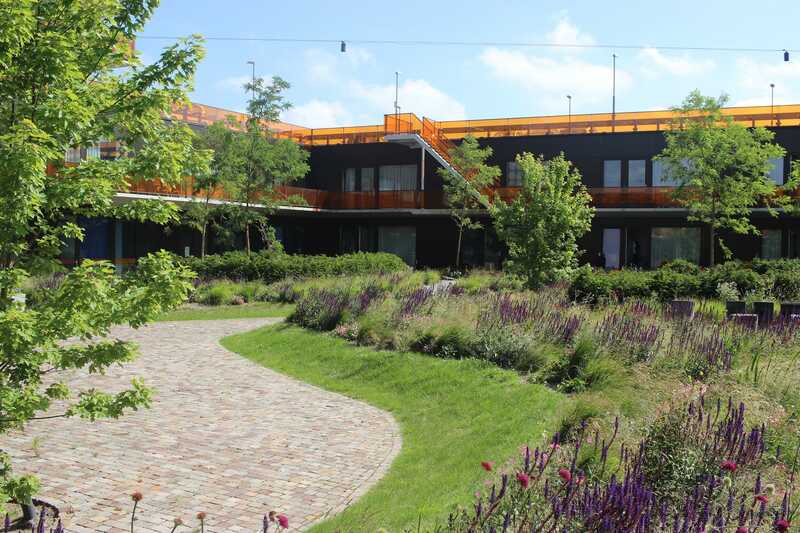 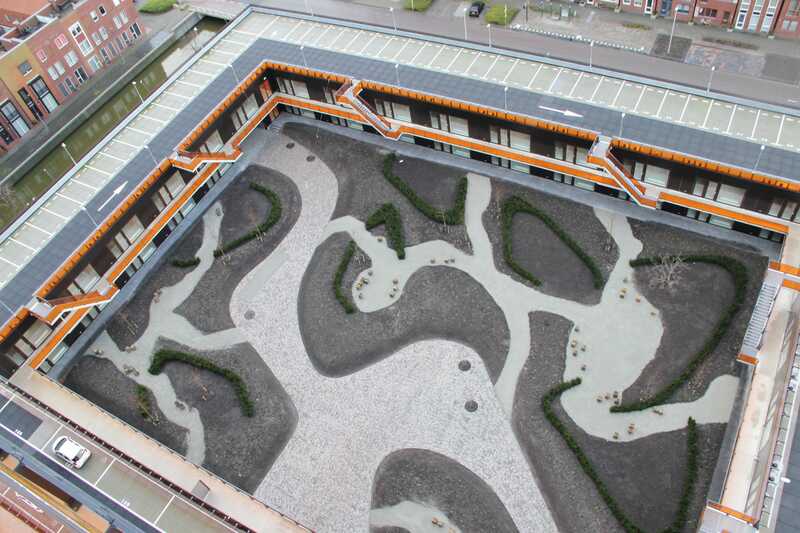 DELVA Landscape Architects：DELVA has created, together with the future occupiers, neighbourhood and building partners, the courtyard garden of live-care-complex “Heel Europa” on the Genuahaven in Purmerend. 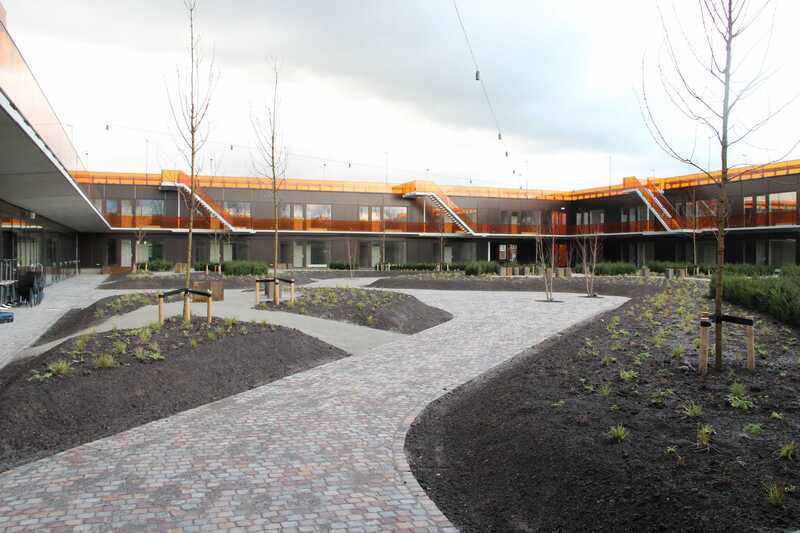 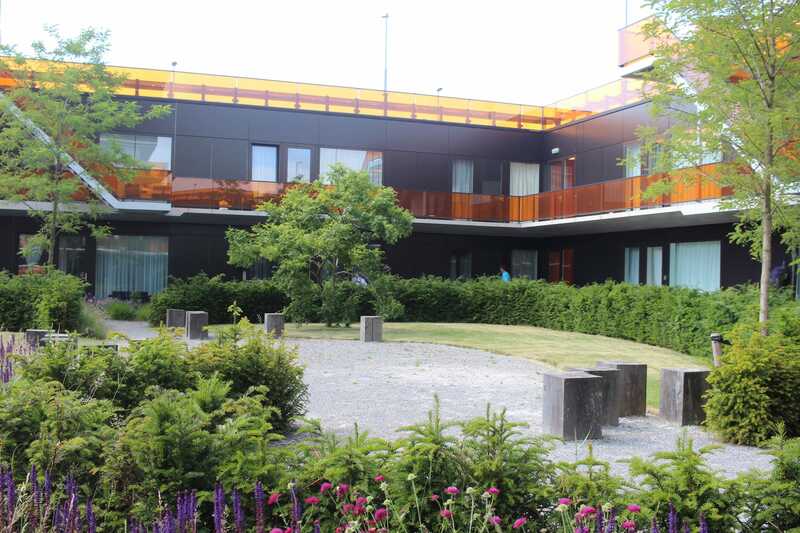 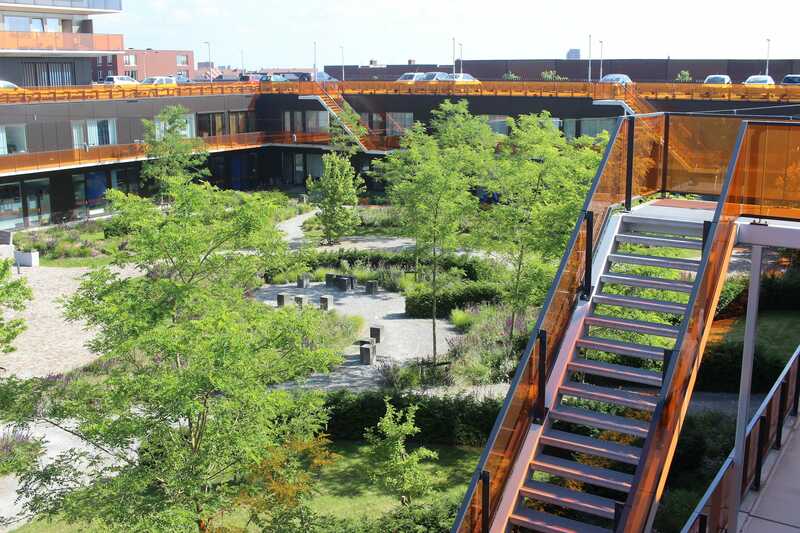 A special complex where young start-ups come to live by the elderly or dependant. 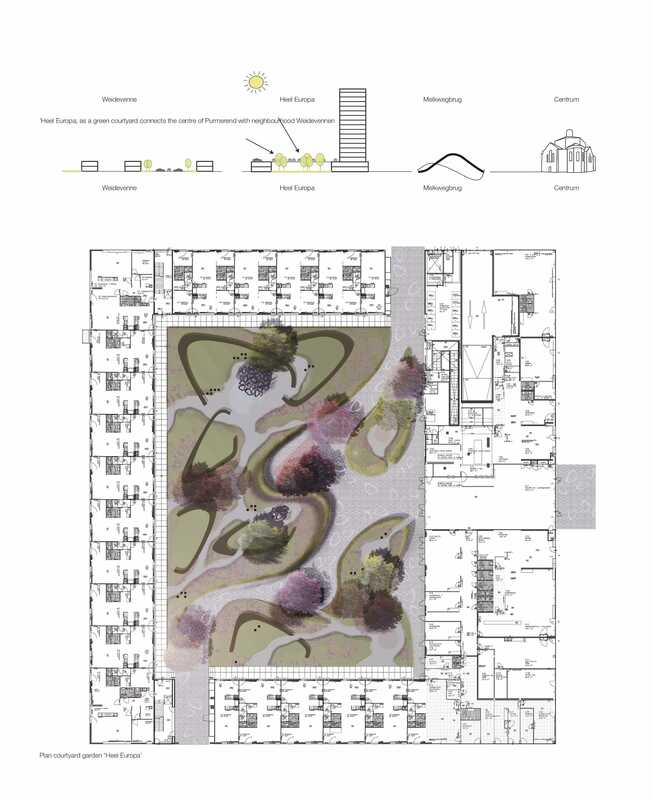 Child-care facilities will also be given a place within the ensemble. 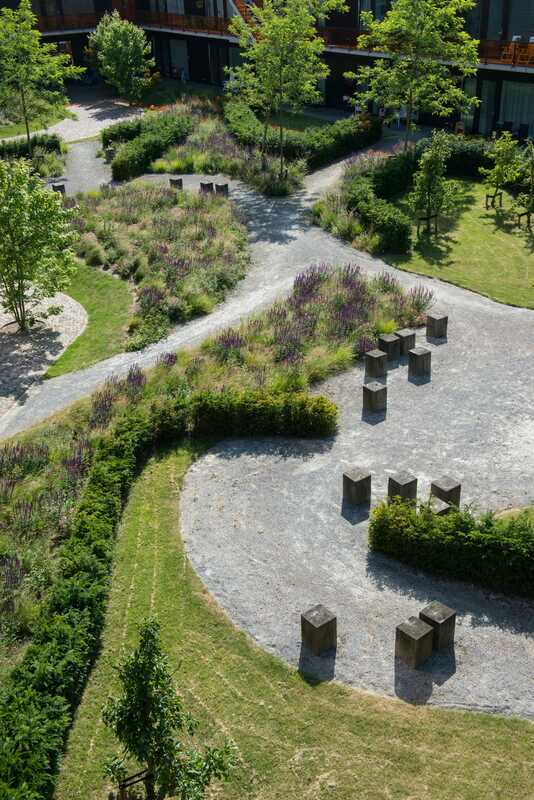 The enclosed garden is accessible to the public during the day and functions as the active heart of the neighbourhood of Weidevennen. 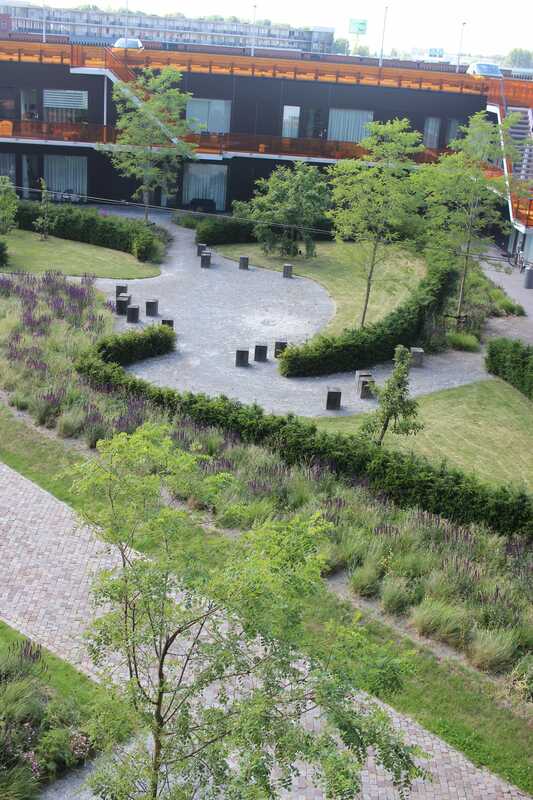 Young adults, dementia sufferers en less able people will meet each other through recreational activities such as petanque, gardening, or just sitting on the terrace of the restaurant located within the garden. 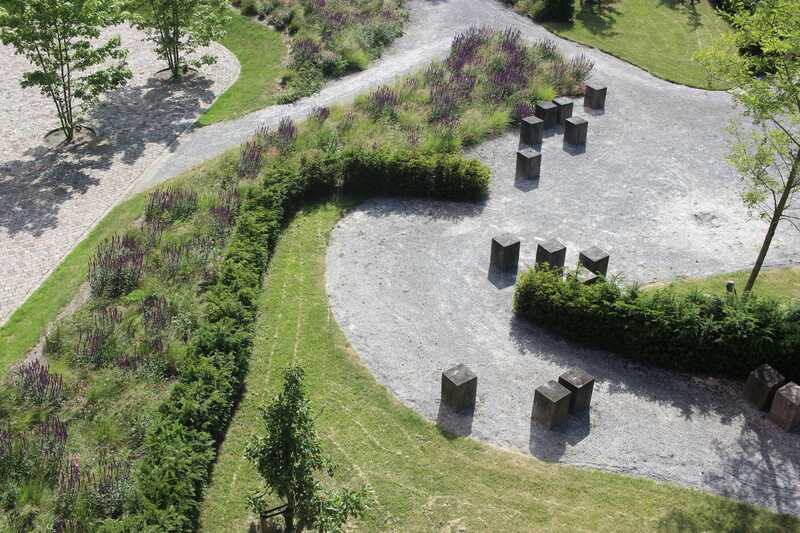 The complex functions as a pivot point, lying as it does between the new-build area of Wiedevenne and the historical city centre of Purmerend. 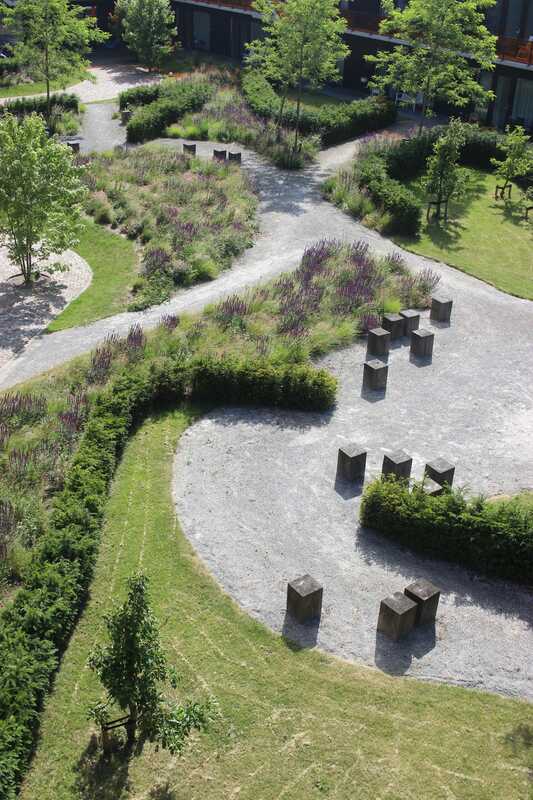 Footpath connections between these two entities run through the public garden. 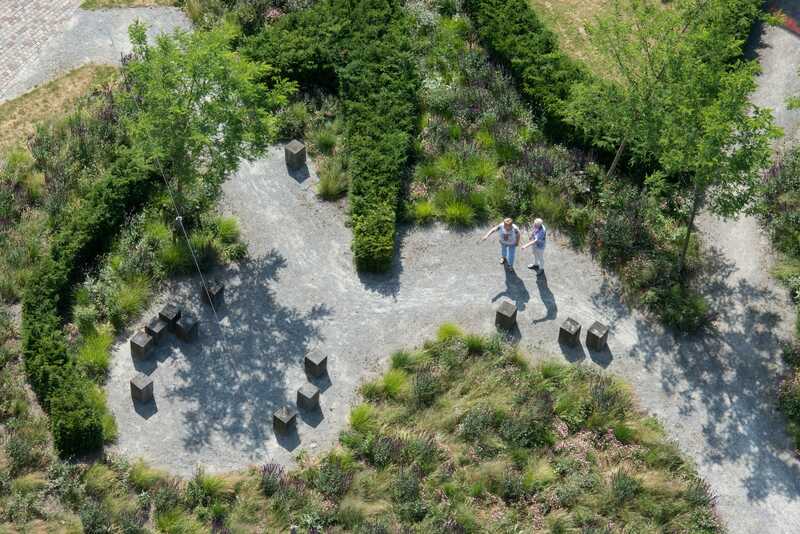 Through a thoughtful and sophisticated design and the positioning of walking routes, peaceful areas are created next to busy places. 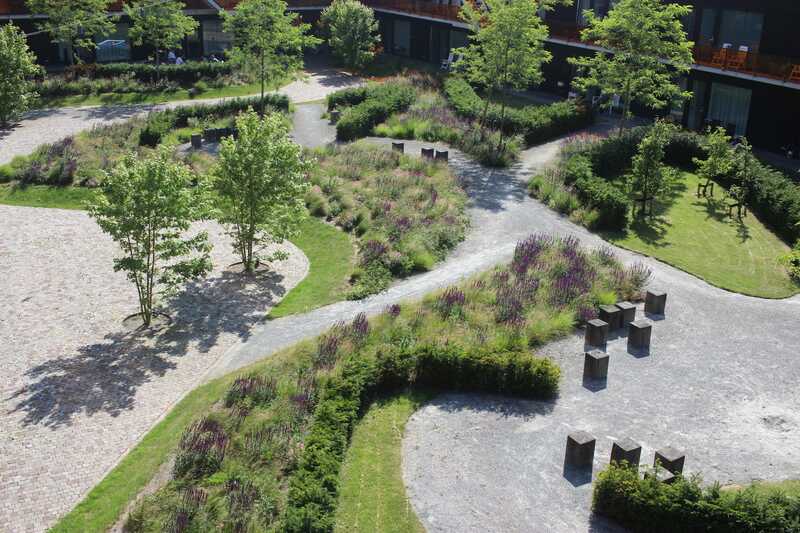 The basis of the design is to bring the inhabitants into activity and then to keep them active. 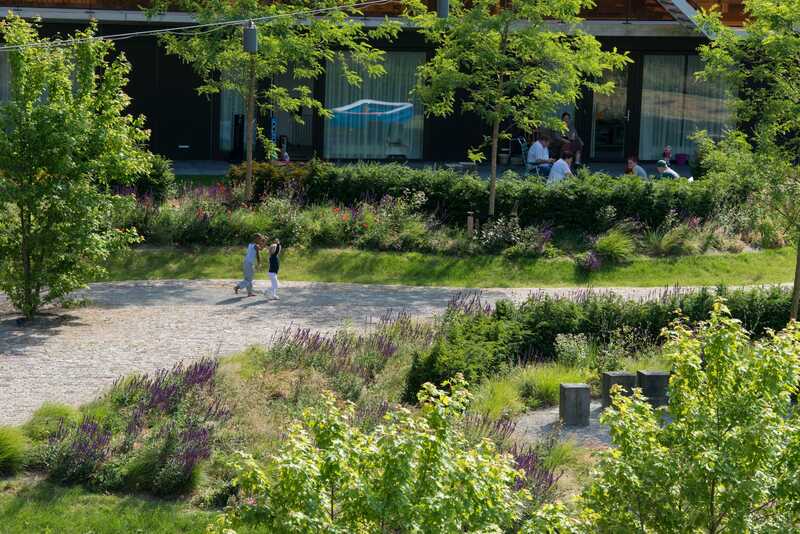 This, together with making possible the spontaneous and valuable encounters between different generations of people. 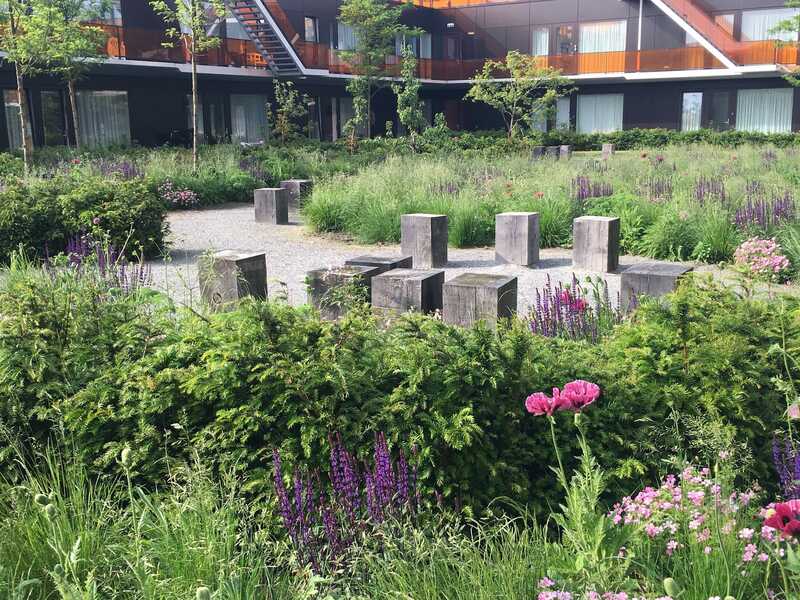 The garden contains its own greenhouse, aviary, petanque court, checkersboard, sport and play opportunities and a large flower garden. 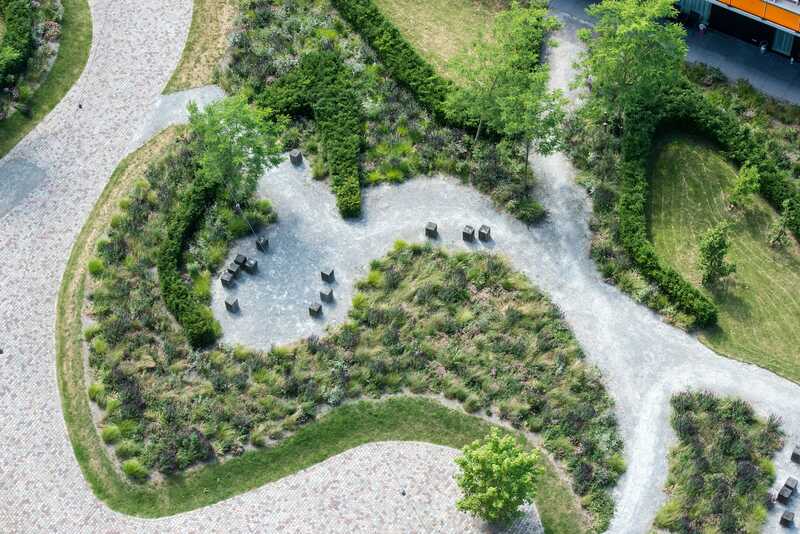 The design provides a number of functions such as a jeu de boules area, open air chess, flower garden, vegetable garden, terrace and seating areas. 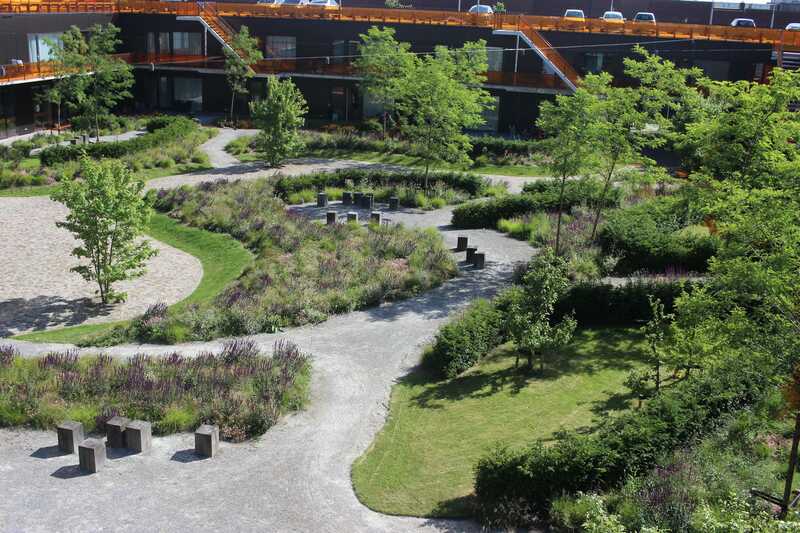 In addition, the design provides spaces that can be filled in by residents initiatives. 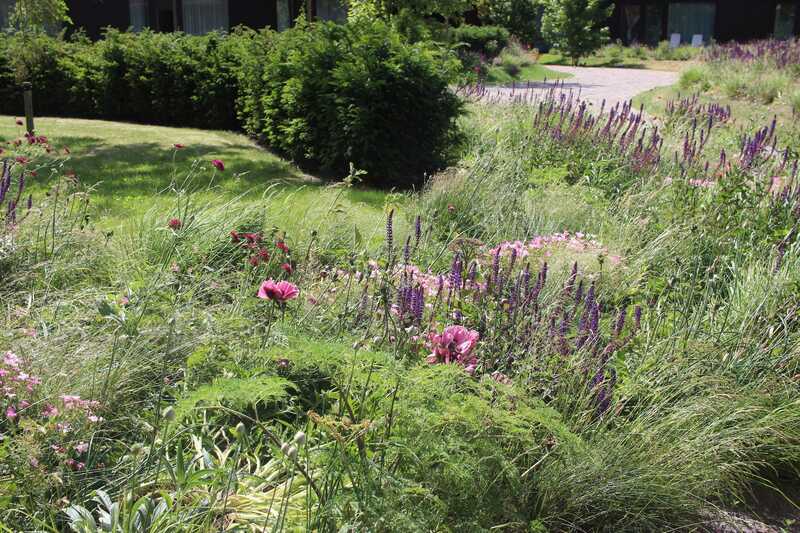 Hedges ensure that residents themselves decide what is needed and where it should be in the garden. 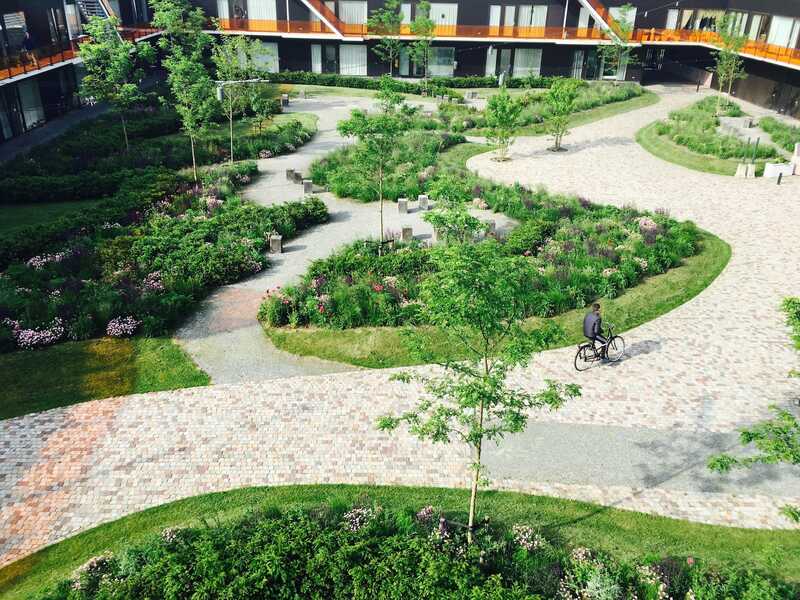 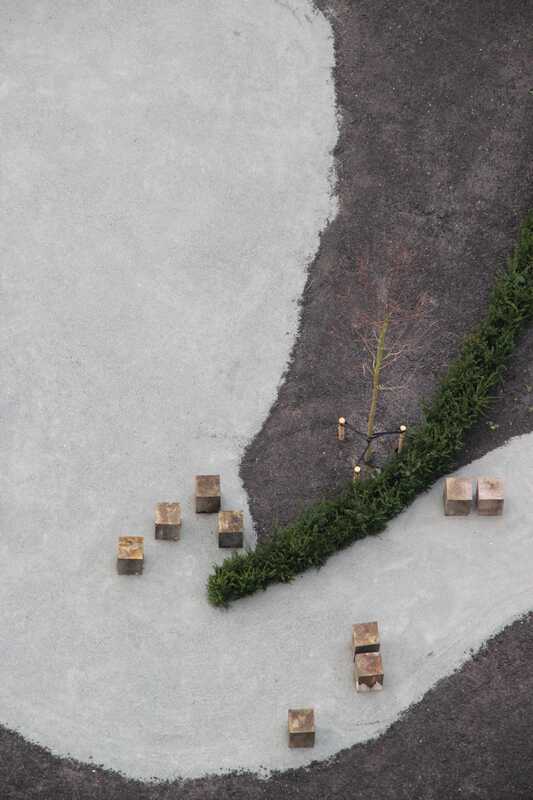 During the process DELVA Landscape Architects organized various participatory moments with residents and schools from the neighbourhood. 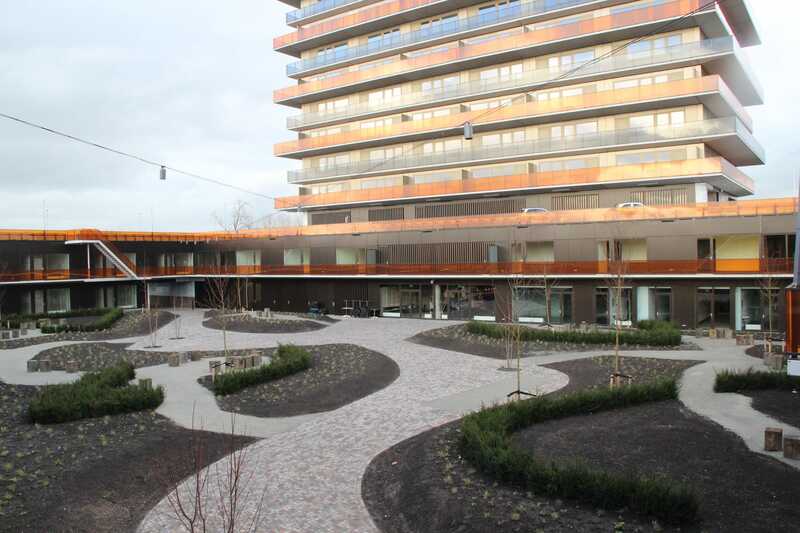 Thus we can say that the design was developed in collaboration with the future residents.